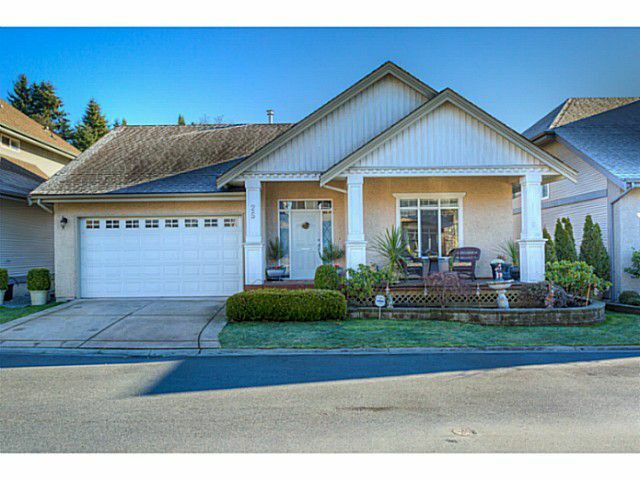 Welcome to West Maple Ridge *River Road Estates* gated community. This gorgeous home comes with a custom made kitchen with walnut cabinets and built-in lighting, quiet doors, glassed in pantry and Caeser stone tops with overhang and breakfast bar. Living area has vaulted ceilings, custom mantle with gas fireplace leading out to a huge 11x26 UV glass covered deck to enjoy year round entertainment and professionally landscaped yard. Master bedroom included California closets and huge ensuite wih shower and tub. Downstairs is a whole new world with antique room and 2 spacious bedrooms and cheater ensuite. Big double garage with lots of shelving and storage including B/I vac system and alarm. River and mtn views.